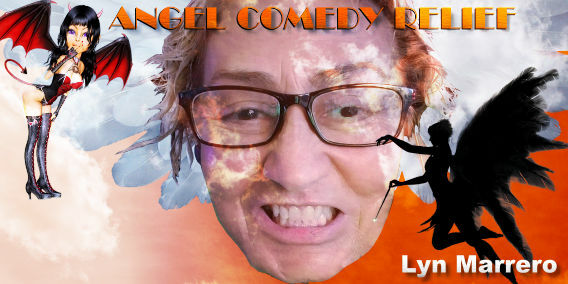 Welcome to Angel Comedy Relief with your host Lyn Marrero. GUESS WHEN GRANNY FIRST REALIZED SHE WAS A GRANNY? WHAT MAKES GRANNY LOOK SO YOUNG AT A SENIOR AGE? DOES GRANNY HAVE GRANNY FEATURES? Granny may need help taking a shower, but that won't Granny from ruling the world! My job is to prove I can make you laugh, because you'll want it bad! I guarantee it or your money back! Call in and make me laugh and maybe win a date with Granny 888-627-6008! Lyn Marrero is an entertainment celeb, actress and comedian that focuses on fashion, beauty, lifestyle and travel. 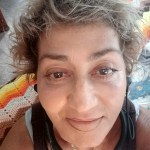 Lyn Marrero is the host of Angel Comedy Relief.